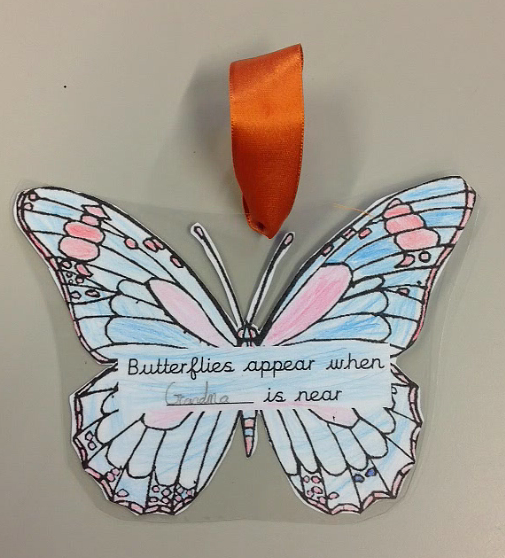 To celebrate All souls day on the 2nd November we created butterflies with the names of our loved one one them. 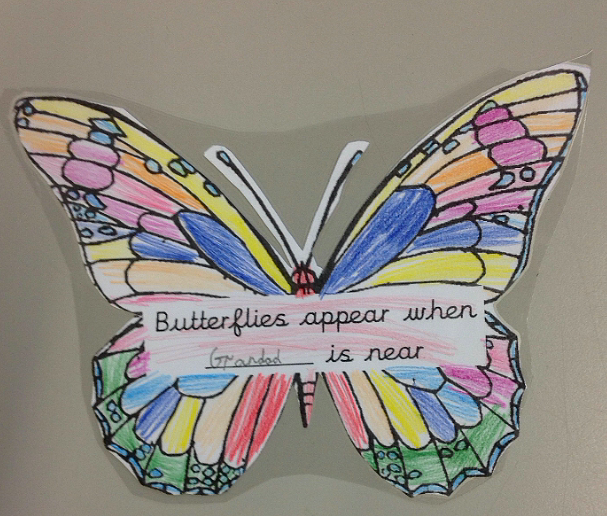 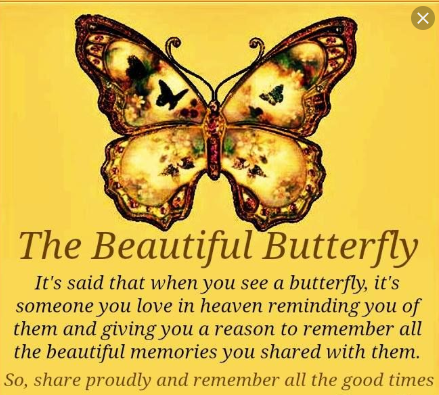 We decided as a class that beautiful butterflies are a reminder of our loved ones being close to us. 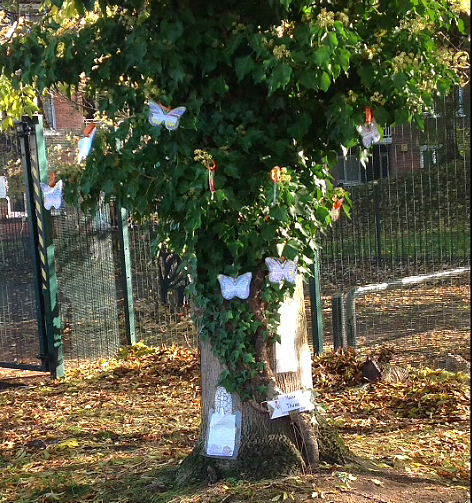 All of our school gathered together to either hang or plant their token of remembrance and think of our loved ones.